Can also be used with the included joining attachment, to extend the length of the hose. 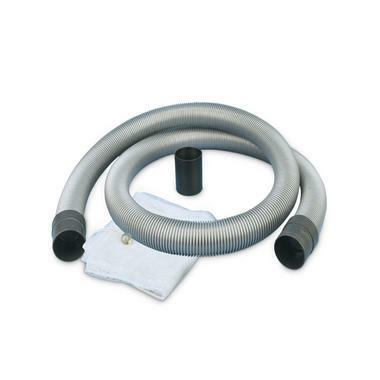 Extension hose gives you additional length and reach in the pond. Hose, Attachment and Sludge Bag included. The kit consists of a 2.5m length of discharge hose for added extension. With this you can extend the length of your existing PondoVac and reach into deeper places and larger ponds. Or it can simply be used as a replacement hose for any lost or damaged pieces. Included in the kit is a joining attachment to attach it to existing hose and a Sludge collection bag. The Kit works with all versions of the Oase Pondovac.